LEXINGTON, Ky. — Kole Cottam has overcome great odds in becoming the starting catcher at the University of Kentucky. He was born two months premature at 4 pounds 8 ounces after an emergency Cesarean section was performed on his mom Kori. Doctors at the time said he would never exceed the 50 percentile for his height, weight and intelligence as he grew up. 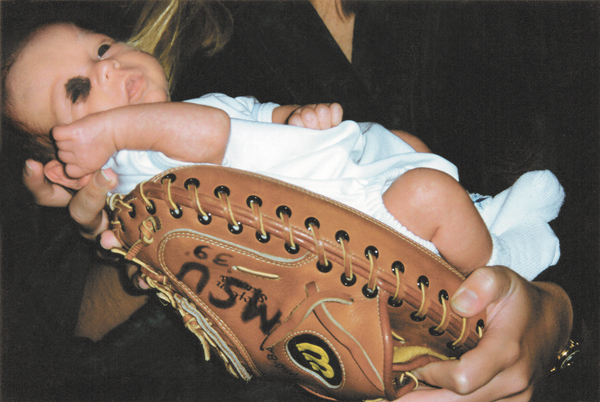 He was so small that his body fit in a catcher’s mitt (see photo). This strapping sophomore catcher is now 6-foot-3, 230 pounds and has a 3.5 grade point average as a Kinesiology major at Kentucky. As a freshman last year, he made the Southeastern Conference First-Year Academic Honor Roll. To complicate matters at birth, he had a dark, rare mole surrounding his right eye termed a congenital melanocytic nevus which occurs in one percent of infants worldwide. Because of the concern for this turning into a cancerous mass over the years, Cottam has undergone 13 eye surgeries in an effort to extract this tissue and keep it from growing. “Kole was born at 32 weeks and was immediately whisked away to the Intensive Care Unit,” said his mom Kori, who is an OB/GYN (physician who delivers babies and specializes in treating diseases of the female reproductive organs). “I was well aware of what being born two months early involved. He would be put on a ventilator, have a blood transfusion and the staff would do everything necessary until his lungs matured. Thank goodness Kole was in the hands of an extremely talented medical staff. “After the C-section, I was told that he had a birthmark around his right eye and his left hip was accidentally cut which required stitches. Kori said that her son was extremely fortunate that Dr. Chris Fleming examined her son’s birthmark. Kori said that at three months of age, he had his first of 13 surgeries on the darkened tissue around his right eye. Over and over again, the tissue was cut out and skin grafts brought in. He has had his tear ducts reconstructed several times. According to Kole, the last of the 13 surgeries was when he was in eighth grade and was 14-15 years old. The procedures were typically not painful since he was knocked out via an IV in his arm or a mask over his nose and mouth. One time in his youth, he went to receive a checkup with his dad Jeff which still causes Kole nightmares. To read more of this article, purchase this issue or subscribe to CLICKING HERE. It includes the story of a horrible ordeal Cottam experienced when a nurse stuck a needle near his right eye six times to numb the area, plus how he has become such a superb catcher during his playing career which also had its bumps along the way. 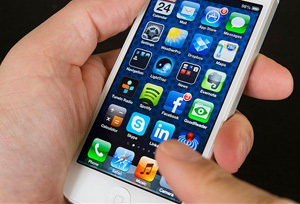 LOS ANGELES — Cell phones have become more sophisticated over the years and are now miniature computers that feature numerous software functions, impressive video and e-mail capability along with internet browser functions that have become an indispensable tool for coaches. While technology keeps evolving, one of the nagging problems has been the battery life of these phones which requires daily charging if they are in constant use. Good news is on the horizon. Energy & Environmental Science has reported that the lithium-ion battery, used in virtually every cell phone, laptop and notebook computer today, will be fueled by a new battery in the years to come. John Goodenough, 94-year-old inventor of the lithium-ion battery, has developed a new battery formula that will hold three times more energy than the lithium-ion. It will replace the liquid electrolyte with glass, will charge quickly, never explode and perform well at low temperatures — all great advancements for technology that run on batteries. Another reason for the excitement is that the new battery will replace lithium with sodium as a key material which is easily extracted from seawater. So the new battery could be cheaper to make than today’s lithium-ion. This battery is still in the early stages of development. But when it rolls out, life for heavy cell phone and laptop users, such as coaches, will be changed dramatically. Steve Goody, CEO and co-founder of Pocket Radar, said there is tremendous work being done on new batteries which will some day in the not too distant future double and triple the battery capacity. Work is also being done to make the battery capacity 10 times greater which will allow technology to shoot through the roof. “The issue is that you can build one battery for $1,000,” said Goody. “But to scale it down for use in cell phones and other uses at a reliable, low cost which doesn’t catch on fire is another hurdle to complete. There is no doubt in the next decade that amazing changes in car batteries, phones and devices will take place. “This is fabulous news for baseball. You will undoubtedly see technology companies work together to integrate different technologies as well which will give consumers more sophisticated tools at their fingertips. “I have been involved in designing electronic gadgets since 1981. The amount I could do years ago compared to now is night and day because the tools have gotten better. What you can engineer now are breakthrough products. To read more of this article, purchase this issue or subscribe by CLICKING HERE. It includes 20 uses for cell phones by baseball coaches that are innovative, including how to use it for recruiting. Plus, the article explains how you can utilize cell phones so that baseball players will learn different plays and concepts quicker than ever before. BOCA RATON, Fla. — Cancer is a vicious and cruel demon. In 2016, close to 1,700,000 cases of cancer were diagnosed in the United States with approximately 600,000 people dying, according to statistics from the National Cancer Institute. Every year, cancer impacts the lives of baseball players and coaches on the college level. 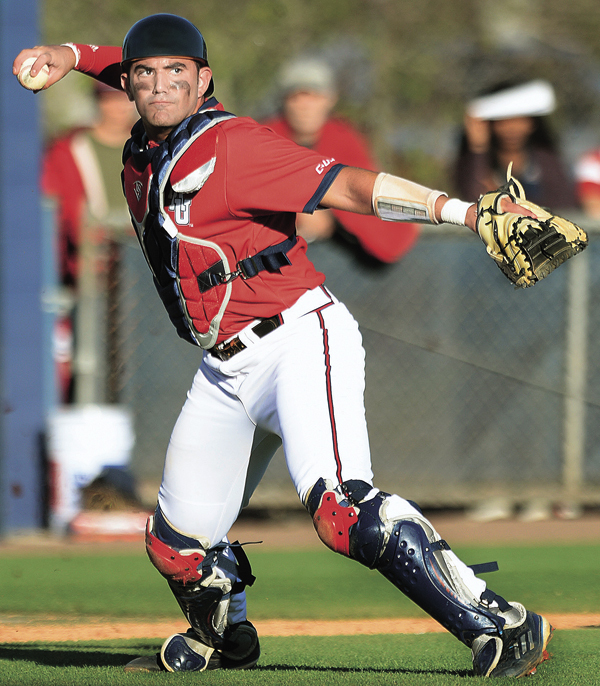 In mid-November of 2015, the Florida Atlantic University baseball team was taking part in its annual Iron Owl competition to test each player’s physical and mental strength. One player, however, was unknowingly on the verge of going through the most difficult test one can imagine. The pain catcher Kevin Abraham was feeling in his right arm was not the usual soreness that comes from playing 60 games in a season. Abraham knew the pain was getting worse and spoke to Head Coach John McCormack and athletic trainer Andrew Calore about the abnormal discomfort he was experiencing. “As a baseball player, you’re going to have soreness in your arm,” Abraham said. Standard treatments didn’t soothe the pain, which grew worse each day, prompting Calore to schedule an MRI. While awaiting the results, Abraham began suffering daily fevers that grew increasingly worse. The MRI showed a mass roughly the size of a baseball in Abraham’s upper arm. While wrapping up the fall season, the catcher was diagnosed with stage four cancer – specifically, Non-Hodgkins Lymphoma. “They told me I probably wouldn’t be able to play baseball ever again,” Abraham said. “Hearing that as a 20-year-old, it hit hard. One initial option for treatment was to remove the bone housing the tumor, but Abraham awaited a biopsy and a second opinion. When the result showed that the tumor was indeed malignant, the 6-foot, 2-inch, 215 pound Miramar native was prepared for the unsettling news. “At that point, I was ready to fight what was coming,” he said. “No more tears, no more panic. I said ‘let’s fight’”. Doctor Izidore Lossos, head of the University of Miami Lymphoma Program, put Kevin on one of the strongest chemotherapy treatments available, rather than opt for surgery, to combat the cancer. While preparing for his first treatment, Abraham relied on support from his parents, Crislayne and Jorge and Coach McCormack, who also is battling cancer. “Mac was there the entire way,” Abraham said. Chicago Cubs first baseman Anthony Rizzo, who also faced lymphoma in his early career, reached out to Abraham. Rizzo was an FAU commit coming out of high school and his brother John was an offensive lineman for the Owls. To read more of this article, order the March 10, 2017 edition of Collegiate Baseball or subscribe by CLICKING HERE. It delves into how nasty the side effects of chemotherapy are, and what setback awaited him when he started the 2017 season. The anatomy of an enormous comeback is fascinating. While your run of the mill comebacks happen all the time in baseball, large rallies of seven runs or more are incredibly rare but are worth close inspection. During the 2017 college baseball season, there have been two colossal comebacks. The first involved one of the greatest in college baseball history as Oklahoma Christian found itself down 7-1 going into the bottom of the ninth against Northwest Missouri St.
With a runner on first base and two outs, the magic began as seven runs scored with 10 batters ultimately coming to bat as the Eagles pulled off a shocking 8-7 walk-off win. A combination of five singles, one walk, one hit batter and a double paved the way for the unlikely win. Another amazing comeback saw Eastern Kentucky take a 9-0 lead at Arizona heading into the bottom of the third. The Wildcats ultimately battled back to win, 16-13 and didn’t even bat in the bottom of the ninth. Arizona scored all 16 runs from the third to eighth inning. “Let me first say that when something like this happens, it is rare and incredible,” said Tom Hanson, co-author with Ken Ravizza of the book Heads-Up Baseball 2.0. No team had ever won a Super Bowl when trailing by more than 10 points. But the Patriots were down 28-3 with 8:31 left in the third quarter. Then New England scored 31 unanswered points to stun the Falcons. “When an unthinkable come-from-behind victory takes place, no matter what sport, the comeback team becomes really locked in with their focus and plays the game one pitch at a time. The team with the big lead loses its focus. Focus is an important performance variable in situations like this. “On the surface, it looks like the wheels are coming off for the team that is losing the big lead. But there is a psychological mechanism that is taking place. “Humans are wired to protect things they have. And naturally, when players on such a team see they are starting to lose their grasp of a win, fear comes into the equation and muscles start tightening up. While that is good for hunting and gathering, it is really bad for baseball. “I would bet that big comebacks take place not only with the offense producing hits, but with the defense helping out whether that be by errors, walks or hit by pitches in some fashion to keep the rally going. Hanson was asked what a team that is experiencing a meltdown of Biblical proportions should do to stop a big comeback. “What should happen is that coaches must prepare their team for any type of lead or deficit they will face in a game — even being down by nine runs or up by that much. You ask your players in practice how they would approach such scenarios in a game. “The answer to being up big or down by a large margin is the same. You play the game one pitch at a time. You coach your players in practice to have a competitive process every pitch of every game. “Then when you get into a game, and you see a 9-0 lead start to vanish, you get your team together and remind them that your team has practiced this situation. They simply must get back to playing the game one pitch at a time so they are focused again. Sometimes it’s easier said than done. But that is the approach I would take. Lonny Cobble, head coach at Oklahoma Christian, said the amazing ninth inning comeback his team had against Northwest Missouri St. was wild. “We were down 7-1 heading into the bottom of the ninth, and I honestly was thinking about my post-game talk I was going to give our kids,” said Cobble. “Our first batter grounded out to the shortstop. Then our next batter Jake Baxter singled. Our third batter of the inning struck out swinging. So here we were with a runner on first and two outs in the bottom of the ninth facing a 7-1 deficit. “One of our backup outfielders and pitchers, Luke Reynolds, made a comment that if nobody makes the last out, we can’t lose. As the inning kept going, it became our rallying cry as other guys started saying and believing it. “Chase Kuwitzky then singled to left field and Jake Baxter hustled hard from first to make it all the way to third on a very close play. He probably shouldn’t have taken the extra base with two outs in the ninth like that. But it really fired up players in our dugout. “Our next batter Chad Kennedy walked as Baxter scored on a wild pitch and Kuwitzky advanced to second. Then their closer Nikko Pablo came in the game to stop the rally with the score 7-2. Isaac Holt has the count go 1-2 to him, and Pablo hits him in the knee which loads the bases. “Cory Coran singled to left field which knocked in two runs. “Lane Paul singled to centerfield to score another run. At that point, Drew Wright came in to pinch run for Lane Paul. Then Hayden Strobel singled to left field which scored another run. “Brady Baugh, who started out the inning with a ground out, came up to bat. He told everyone in the dugout that he would not make two outs in the same inning. He then doubles to right centerfield which knocked in the tying and winning runs as our team went nuts. To read more of this article or subscribe, purchase the March 10, 2017 edition by CLICKING HERE. It includes information on how Arizona came back from a 9-0 deficit this season to beat Eastern Kentucky and delves into amazing College World Series comebacks. Playing baseball in temperatures near freezing can be absolutely miserable. But if certain tactics are utilized, nasty conditions can be minimized so athletes can focus on playing the game instead of shivering. Have you ever heard the saying, “If your feet are cold, put a hat on?” It is absolutely true. If you don’t have the proper head protection, a high percentage of body heat will go right out your head. Some authorities say that up to 90 percent of heat loss can go through the head. You can do everything else right, but without good head protection, you are still going to freeze. When temperatures dip near freezing, you should never wear only a baseball cap on your head. What were the New York Yankees wearing during the coldest days of the 2010 World Series? 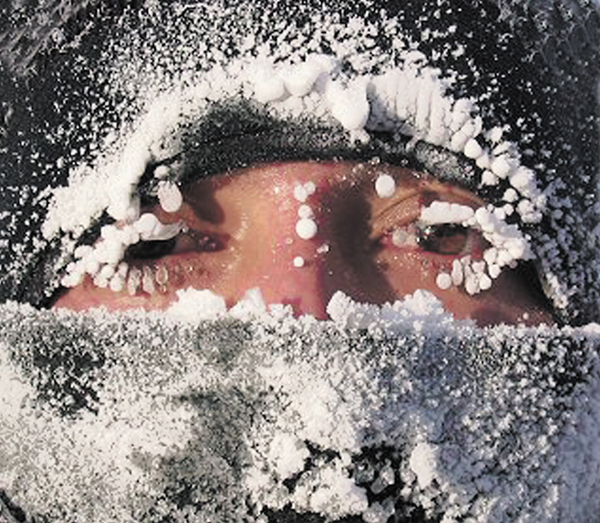 Everyone wore a balaclava when temperatures dipped near freezing. And then baseball caps were put over them. A balaclava is traditionally knitted from wool and can be rolled up into a hat to cover just the crown of the head or cover the whole head, exposing only the face or upper part of it and sometimes only the eyes. The name balaclava comes from the town of Balaklava in Crimea, Ukraine. During the Crimean War, knitted balaclavas were sent over to the British troops to help protect them from the bitter cold. When it is warmer, you can pull it down around your neck, and it will act like a scarf, allowing you to cool off without worrying about having to stuff it in your pocket and potentially losing it. When weather gets extremely cold, you can pull it up over your head. If you want to protect your face from the wind, you can adjust it to cover everything but your eyes. Sources include outdoor shops and internet stores which deal with cold weather gear. Three of the biggest are Land’s End, L.L. Bean, and Cabela’s. In talking to numerous baseball coaches over the years, the two most used cold weather strategies involve the use of air activated hand warmers purchased at outdoor supply outlets as well as air activated foot warmers. Depending on the brand you use, they can last from 2-20 hours before they stop generating heat. A more expensive route is battery-powered hand and foot warmers. Many players utilize batting gloves with a couple of hand warmers inside. Joe Kellner, a former pitcher at the University of Arizona and earlier at Yavapai Junior College where temperatures can dip below freezing during games, also is an avid hunter who has worked in freezing weather over the years. “Beyond hand warmers, which are widely available today, you can do several things to stay warm in cold weather,” said Kellner. “Hot water bottles work extremely well. You can put them in your lap to keep you warm and have your fingers under them. “Hydrocollator heating units that are used by trainers are great at keeping water bottles warm in the dugout. Ice chests can also be used to keep the water bottles warm if you don’t have a hydrocollator close by. But the water bottles must obviously be warm prior to putting them in the ice chest. Collegiate Baseball talked to several well known pitching coaches across the country, and each advocated using pine tar for pitchers if the temperatures dipped near freezing. However, all of them said that if you are caught using pine tar as a pitcher, you will be ejected for using an illegal substance. One of these coaches said that a good substitute is mixing powder fine rock rosin and sun tan lotion which forms a sticky substance similar to pine tar. Experimenting with different sun tan lotions is a good idea before actually using this concoction in a game. This same coach said that when temperatures get near freezing, the fingers of the throwing hand dry out and become numb. Using a formula such as this helps pitchers have a better grip on pitches in cold weather. Layering is another important concept. You need to layer your clothing so you create layers of insulation. Unfortunately, most people focus on the last layer and buy a heavy parka when they should be focusing on the first layer — the layer closest to your skin. Purchasing a good first layer to wick moisture away from your skin is essential. According to experts, you don’t want your first layer to be cotton, known by many hunters and outdoorsmen as “dead man’s cloth,” because it retains moisture. A moisture-wicking clothing such as Under Armour is designed to be worn under sportswear next to your skin. Keeping moisture off the skin is essential in frigid weather. Another favorite of hunters in cold weather is Capilene underwear made exclusively by Patagonia. You can also find inexpensive polypropylene winter garments for a lower cost. Wool is another good first layer, but many people can’t stand wool next to their skin without it becoming irritated. A good rule of thumb, according to hunters who routinely go out in frigid weather, is to spend more money on a good first layer of clothing than on the last. For the second and third layer, make sure that the clothing isn’t tight. It needs to be loose fitting so that it can provide insulation. A heavy sweater and good winter coat should suffice. Some hunting experts advocate using Polartec fleece in the second layer. Others say that Helly Hansen garments are outstanding. The concept of layering includes your feet, so no cotton socks. Ideally, you will wear two layers on your feet, the first layer being a very thin sock of polypropylene type fabric discussed above. This fabric is nearly as thin as a nylon stocking, but it will shield your feet from the next layer. For the next layer, you want wool socks. To read more of this story, purchase the March 10, 2017 edition of Collegiate Baseball or subscribe by CLICKING HERE. It includes more in-depth information about utilizing portable propane heaters if no power is available and much, much more. LOS ANGELES — One of the most fascinating stories Collegiate Baseball has ever run was printed 37 years ago in 1980 when John Herbold was granted an interview with possibly the greatest basketball coach in history, UCLA’s John Wooden. It was made possible by then UCLA Head Baseball Coach Gary Adams. What was divulged during that interview was that the late Wooden’s favorite sport was not basketball, but baseball. It sent shockwaves through the basketball community when the story came out. “Baseball’s my favorite game, always has been, but basketball’s the harder game to play,” said Wooden who guided the Bruins to 10 national championships over a 12-year period, including seven in a row. Within this period, his teams won a record 88 consecutive games. 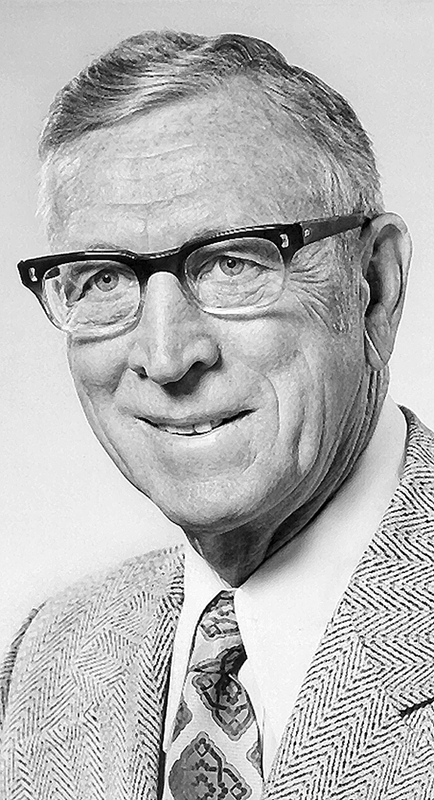 “Had I been born in a baseball state like Texas or California instead of a basketball hotbed like Indiana, I might have become a professional baseball player or college baseball coach because not only did I love to play baseball, but I love to coach it too,” said Wooden. “When I was in high school, many people said that baseball was my best sport, and I even played as a freshman at Purdue. “But I didn’t have enough time for baseball because in those days there were very few scholarships. “As I said, basketball draws on greater athletic skills than baseball and requires the most quickness and coordination, even though you need those qualities to a lesser extent in baseball, too. “I was always a shortstop starting in grade school near Centerton, Ind.. My older brother and I lived on a farm, and he built a ball diamond for us to play on. “Later, I played shortstop at Martinsville High, and in the summers, I was on our town team playing against touring Black teams like the Kansas City Monarchs, Indianapolis Clowns, Birmingham Black Barons and the Chicago American Giants. To read more of this story, purchase the Feb. 24, 2017 edition of Collegiate Baseball or subscribe by CLICKING HERE. The rest of the story explains how often he saw Major League games in Los Angeles, why baseball was fortunate to have Charlie Finley with the Oakland A’s and how he would have enjoyed coaching college baseball. He also delved into what he felt were the secrets of coaching baseball and basketball. WOOSTER, Ohio. 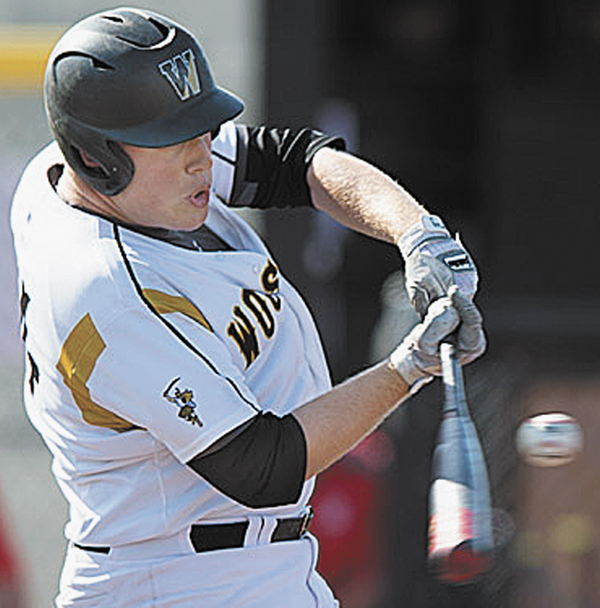 — One of the greatest hitters in NCAA Division III history is back at The College of Wooster for his senior season. Jamie Lackner, the Fighting Scots huge All-American first baseman who is 6-foot-4, 250-pounds, has made reaching first base an art form. Over the last two seasons, he got on base by either a hit, walk, hit-by-pitch or error in 94 consecutive games before the streak ended in the final game of the 2016 season. It included a run of 45 games during the 2015 season and the first 49 games of 2016. His 94-game streak is the second longest known streak in NCAA Division III history. Eric Cirella (Salve Regina) reached base safely in 104 consecutive games from late April 2003 until his final collegiate game at the end of the 2005 season. Lackner’s numbers in 2016 were impressive as he hit .430 over 50 games with 7 homers, 12 doubles and 54 RBI. He led the nation with 44 walks had an on-base percentage of .560, third nationally. Over his first three seasons at Wooster, he has a cumulative .417 batting average, 118 runs scored, 160 hits, 32 doubles, 25 home runs, 135 RBI, .701 slugging percentage, 77 walks and a .540 on-base percentage. Lackner said working on the mental side of hitting has paved the way for great success and consistency during his college career. “I had a great hitting coach at Westlake H.S. (Westlake, OH) by the name of Chris Check,” said Lackner. “He preached to me how important the mental side of hitting was. When I graduated, he gave me a book called Mental Toughness: Baseball’s Winning Edge which was written by Karl Kuehl, John Kuehl and Casey Tefertiller. “After I read that book, it made me realize how crucial this area of the game is. Every time I hit in games now, I focus on the process rather than the outcome. “I also try not to let a bad round of BP or bad at-bat during a game effect me beyond that point. I strive to have a clear mind and focus on each individual at-bat instead of letting past situations which were negative get me out. To read more of this article, purchase the Feb. 24, 2017 edition of Collegiate Baseball or subscribe by CLICKING HERE. The story explains why vision is important to Lackner and what he does to be such a refined hitter in this area. He also explains how he has become such a great hitter with balls on the outside half of the plate and more. EMPORIA, Kan. — The 2017 season is just beginning, and one of the great traditions in college baseball is media guides. If you have seen one, you’ve seen 10,000 of them. Unless you have ever had the distinct pleasure of viewing Emporia State’s remarkable media guide that was distributed just prior to the 1980 season some 37 years ago. The cover of this media guide had an incredible black and white photo which took weeks of planning that showcased an amazing hitting team that was returning. 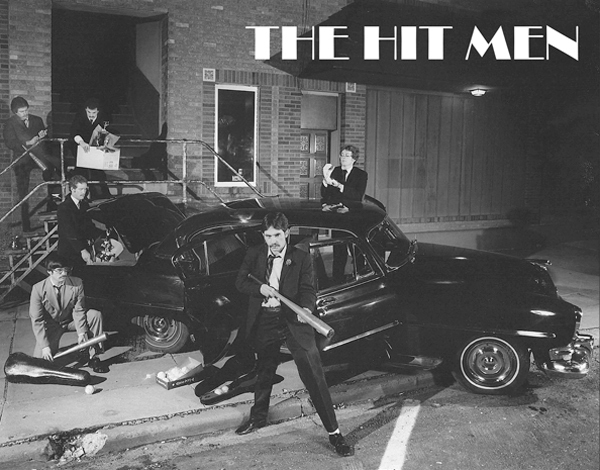 Paul Kincaid, director of information services at Emporia State, developed “The Hit Men” idea which was different from any press guide we had ever seen before or after. The entire idea was not to portray this elite hitting team on a beautiful campus. The coach wasn’t shown on the field. Instead, a plan was put into place to showcase Emporia State’s six best hitters on a cover shot that featured a 1920s and 1930s gangster slant. And they pulled it off to perfection as it captured the feeling Chicago mob boss Al Capone was nearby in his 1928 Cadillac Town Sedan which was made famous in several movies. Or others mob notables such as “Machine Gun” Kelly or John Dillinger. The six top returning Emporia State hitters were dressed in gangster-style clothes, and they were positioned around an old Chrysler. Four of the six appear to be standing guard as the other two load trophies into the car’s trunk. If you look closely, you can see the subtle details: a puff of smoke coming from a bat in the foreground (burning cigars taped on the back of the bat); a box of baseballs; toothpicks in the players’ mouths; and a rose in the lapel. Inside the press guide, the three coaches, trainer and 28 players are shown individually in gangster style clothing. All 32 are in appropriate poses: pointing a bat at the camera; pulling on a batting glove; tipping a hat; tossing a coin in the air; etc. To read more of this story, purchase the Feb. 24, 2017 edition of Collegiate Baseball or subscribe by CLICKING HERE. Details on how the idea came about and how the shot was made along with the typeface used is explained. TUCSON, Ariz. — A fascinating metamorphosis has taken place in hitting philosophies. 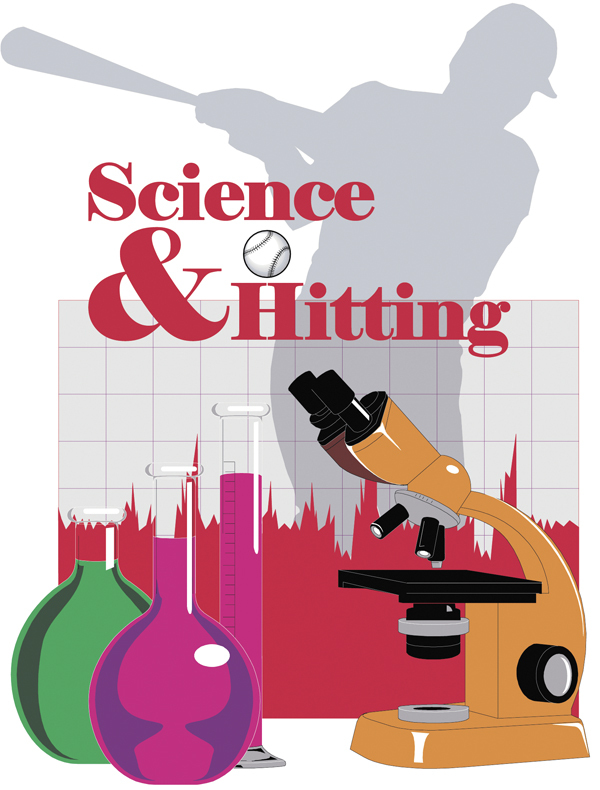 Science and technology have brought to the table the past few years bat sensors and sophisticated devices that track bat, ball and body hitting movements by hitters. With this technology, there has been an explosion of hitting coaches in the game who are now teaching their players the ideal launch angle for balls, ideal attack angle and other mechanics dictated by numbers. In short, hitters are being taught to have a slight upward swing. Yet only a few decades ago, many hitting coaches were adamant that the best way to hit for production on the college level was to hit line drives and produce hard-hit ground balls with fly balls being the worst option. There remain plenty of hitting coaches who subscribe to this time-honored philosophy. Retired Hall of Fame Head Coach Jerry Kindall at the University of Arizona led the Wildcats to three national championships in 1976, 1980 and 1986. At the core of the Wildcats’ hitting system was to hit hard ground balls and line drives rather than deep fly balls. In Kindall’s book Sports Illustrated Baseball: Play The Winning Way, he explained why this hitting philosophy is proven in college baseball. During the 1974 season when the Wildcats led the nation with a .348 team batting average, Kindall asked his coaching staff to chart every fair ball hit by Arizona and its opponents at both the varsity and junior varsity levels for an entire season. “Of the 1,759 fair balls hit, 377 were line drives, 869 ground balls, and 513 fly balls. The line drives resulted in the best on-base percentage average for the hitters: 84 percent. “The 869 ground balls resulted in a 42 percent on-base average, while the 513 fly balls got the hitters on base 29 percent of the time. “Thus, as a batter, you have a 13 percent better chance to reach base by hitting a ground ball than by hitting a fly ball. “The other, more dramatic conclusion is that clearly you can raise your batting average if you concentrate on hitting hard ground balls. “Of the 513 fly balls charted, 146 fell safely, including home runs and long extra-base hits. The fly ball batting average was .285. Hitting Coach John Mallee of the World Champion Chicago Cubs explained why embracing new technology is important in the quest for better offensive numbers. Mallee has 21 seasons of experience in professional baseball on every level. Along the way, he has tried to uncover every possible clue as to what allows a great hitter to excel including why a slight upward stroke might be better. To read more of this article, purchase the Feb. 24, 2017 edition of Collegiate Baseball or subscribe by CLICKING HERE. Mallee delves into the metrics of his amazing system which explain why his system works so well and why the ideal attack angles and launch angles with different hitters are crucial to strive for.